- A ban on rip-off fees charged to tenants by letting agents. - Longer term tenancy agreements of three years, with capped rent increases during this term. Ed Miliband is also expected to reassert Labour's pledge to build 200,000 homes per year by 2020. PricedOut have long called for letting agent fees to be scrapped for tenants in England and Wales, as is the case in Scotland. Referencing, credit checks and inventories are services for the landlord, so it is only right that landlords pay for them. These fees are always inflated to far beyond a reasonable cost for the service and in our view are a clear example of letting agents profiteering from the housing crisis. With over a million children now living in private rented housing, longer contracts are essential to give families a stable home. PricedOut will be pushing Labour and their rivals to go further and instigate a minimum standard tenancy term of five years. Providing stable homes in the private rented sector will also ease the desperation the majority of tenants feel to own rather than rent, which should help cool down house prices. Longer letting agreements only mean anything if there is a limit to how much the rent can be increased within the term, so the rent caps included in the announcement are a vital but modest part of the pledged reforms. 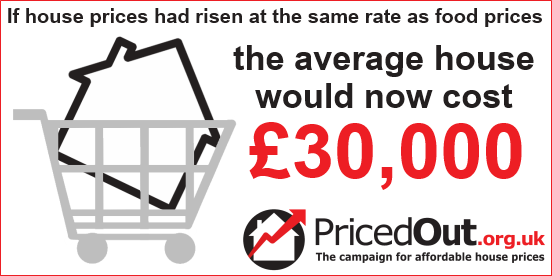 Finally, while Labour do seem to recognise that there is a desperate need for new homes to be built, 200,000 per year will not be enough to improve affordability in the housing market. If we are to truly get to grips with the housing crisis, we need to see 300,000 homes per year right away, with a focus on building them in the areas where unaffordability is worst.